Val Lewton, making 1940s B-flicks look nothing like other horror films of the 1940s, is a certifiable genius of the cinema. His ability to plunge audiences straight into nightmares is uncanny. Madness and death, there’s our recurring fear factor in his flicks. And they are all awesome flicks. That fact is made clear watching Scream Factory’s NEW 4K scan of The Body Snatcher, a film in which Boris Karloff, with wonderful Lewton-approved atmosphere surrounding him, sings, dances, laughs, teases, and terrifies. The man is a legitimate terror in this film to men and to dog. "We do our own dirty work." This is what one doctor (Henry Daniell) learns after dealing with the likes of Karloff and Bela Lugosi. In truth, though, there is no escaping the shadows of these two legends of horror and that simple fact makes The Body Snatcher a damned classic of the cinema as one grave robber gets the last laugh. There are terrifying scenes in which a street singer is silences forever and so too is a yapping dog. Haunting. "With shadows looming and death threatening to break through the wall of every location, The Body Snatcher continues to work as a twisted ode to psychological horror"
And, on a stormy night, it all comes to mad conclusion. We begin in darkness and that’s where we end, too, as The Body Snatcher, superbly directed by Robert Wise (West Side Story, The Sound of Music) directs a tale based on a short story written by Robert Louis Stevenson. 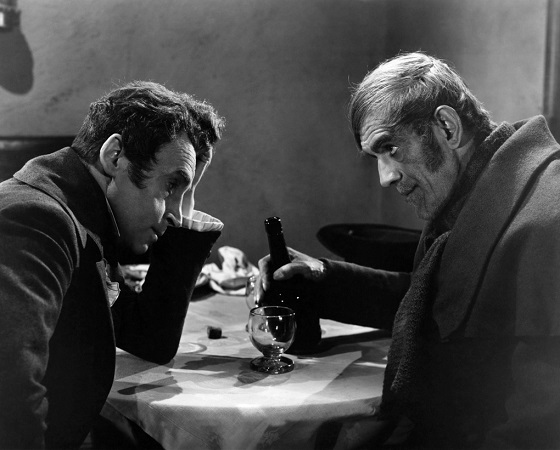 Produced by Lewton (making one of the nine films that sealed his legacy as a psychological horror film maestro), The Body Snatcher features one hell of a fine performance from Boris Karloff as the go-to graverobber, John Gray. You see, Dr. MacFarlane (Daniell) needs bodies to study and “borrow” from and he doesn’t dare ask Mr. Gray where these bodies are coming from; he knows they are stolen and sometimes killed for the purpose of his work. But Joseph (Lugosi) knows it’s illegal and he, lacking a solid brain in his head, makes too many mistakes in his work to be much of a threat to anyone. That will change soon when MacFarlane's new assistant, Donald Fettes (Russell Wade), gets involved in the work to become a doctor. With a paraplegic girl (Sharyn Moffett) keeping him grounded and focused, Fettes tries to be noble with his studies and ignore where the bodies are coming from. After all, now that Burke, Hare, and Dr. Knox have been put a way, this graverobbing business can’t continue. Or can it? With shadows looming and death threatening to break through the wall of every location, The Body Snatcher continues to work as a twisted ode to psychological horror. The pressure that MacFarlane feels is building and building and, in the final moments of this 77-minute masterpiece, it finally breaks into a carriage ride from Hell. The movie is still frightening and works to bring about the fates of all these characters. Wise, who had edited The Cat People for Lewton, absolutely delivers a breathless horror film that features, in one key moment, a scene in which both Lugosi and Karloff go at each other’s necks. It is a beautiful moment for any horror fan to witness: these legends rolling around on the floor, desperately trying to kill each other. Thrilling, right? Exactly. Sure, it was their eighth film together but, here (with Lugosi brought in for billing purposes), the two former rivals go at it in a brilliant scene that showcases (even though he struggled with the role) the talent that Lugosi could have achieved had Hollywood had interest in casting him. A literary classic short story gets the cinematic treatment in the very smartly done The Body Snatcher. 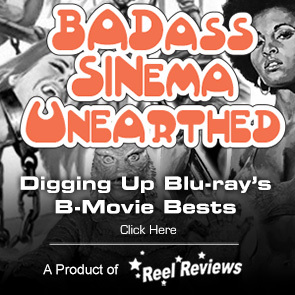 The film is now available on blu-ray thanks to the fine work from Scream Factory. Get your copy before someone steals your bones away! Tagline: INVADED!...the sanctuary of the Dead!...by the Hero of Horror!...and the Master of Menace! Memorable Movie Quote: "Gray, I must be rid of you. You've become a cancer, a malignant evil cancer rotting my mind." Synopsis: Screen icon Boris Karloff plays the title role in the Val Lewton adaptation of Robert Louis Stevenson's The Body Snatcher, directed with subtle calculation by versatile Robert Wise (West Side Story, The Sound of Music). 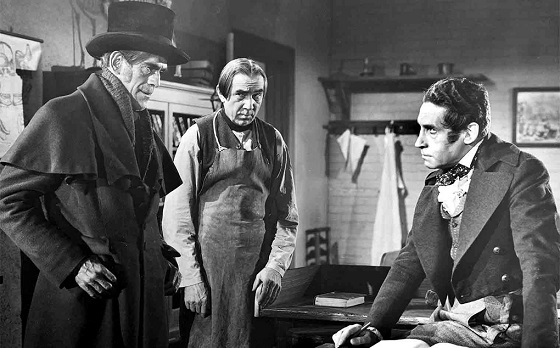 A doctor (Henry Daniell, The Four Skulls of Jonathan Drake) needs cadavers for medical studies and Karloff is willing to provide them ... one way or another. The film also features a wonderful supporting performance by fellow horror icon Bela Lugosi. Scream Factory presents The Body Snatcher in 1080p with a crisp transfer that handles the blacks and grays quite well. The 4K restoration pulls out nice black levels and an even balance of the greys. Shadows, while not too terribly detailed, are thick and atmospheric throughout. Presented with an aspect ratio of 1.33:1, the film looks marvelous and easily beats the poor appearance on television and on home video DVD that has previously dogged it. The sound is presented in a solid DTS-HD Master Audio English track that is perfect for the film’s low budget demands. Provided by Steve Haberman and Robert Wise, the commentary attached to this release is a great addition to any fan’s appreciation of the film. It is truly a solid listen. The new supplemental is quite awesome as it covers a new consideration of the film and its amazing scenes. Fans also get a feature-length documentary about Val Lewton’s work, a theatrical trailer, and a still gallery.